HP completed its split into two independent companies: Hewlett Packard Enterprise and HP Inc. (PCs and printers). The split was first announced in October 2014 and completed on November 1, 2015. 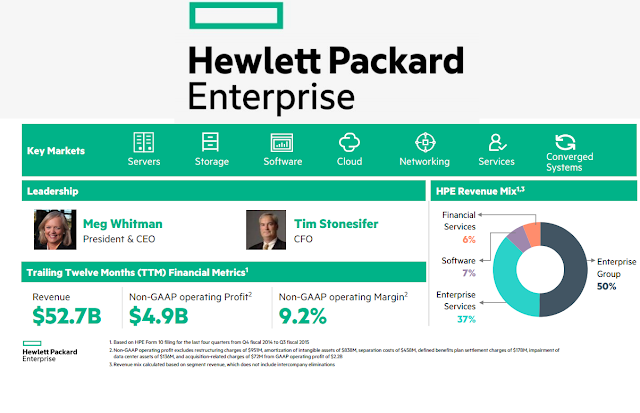 Hewlett Packard Enterprise will have more than $50 billion in annual revenue and will trade under the ticker symbol "HPE". Meg Whitman (CEO) is scheduled to ring the NYSE opening bell on Nov. 2. The company describes itself as "provider of the world's most comprehensive enterprise IT solutions." Annual Revenue of $27.8 billion, operating profit of $4.0 billion, operating margin of 14. 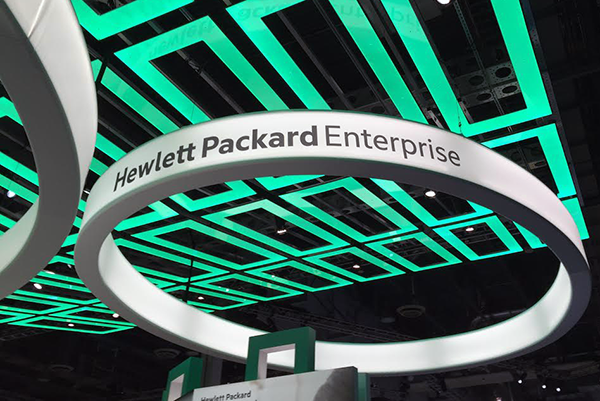 Approximately 50% of Hewlett Packard Enterprise's revenue will come from EG, spread across servers, storage, networking, and technology services. The Enterprise Services group is undertaking further cost reduction measures, office consolidations, data center consolidations and headcount reduction.